Our treadmill is in tough shape but it still does the job. Our technician recently told us that it could go at any time. My wife depends on the treadmill for her daily workout and I'm a lot rougher on the machine than she is. I only use it as a last resort because I don't want to contribute to its demise. I did use it on Tuesday, because we were leaving on a trip that morning. Time was tight and I wasn't sure how (or if) I'd have an opportunity to run while we were away. My second run of the week happened at our hotel in the Berkshires. I did a little more than three miles on their Precor treadmill and really appreciated the experience. 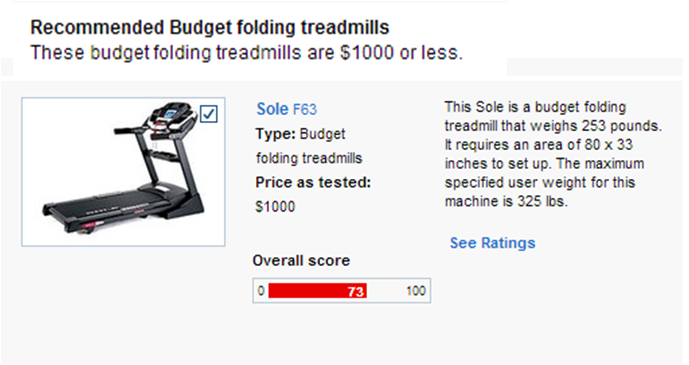 There's a big difference between running on a mid-range consumer treadmill like our Sole F63 and a fitness center grade treadmill like a Precor. The Precor felt more solid and stable and I seemed to be able to run faster on it than on our home unit. When the time comes to replace the Sole, I'll consider investing in a brand like Precor. They actually have a few models under $2,000, which is still pricey, but could prove to be a better value when amortized over a longer period. Our Sole F63 was recommended by the leading consumer product rating company, but after four years steady use, it's totally worn out. The Sole can be folded and put away to save space, a feature we've never used. I think we'll go with non-folding unit next time, because those units are probably more durable. I didn't get a chance to run the rest of the week, but we covered a lot of ground in western Massachusetts. We also spent time in northern Vermont with my brother and his family who took us to (among many places) the Ben & Jerry's factory. It was great seeing them, along with my mom who was also up visiting. Due to all that, I haven't posted since last Sunday. This morning I got out early in hopes of beating the humidity. 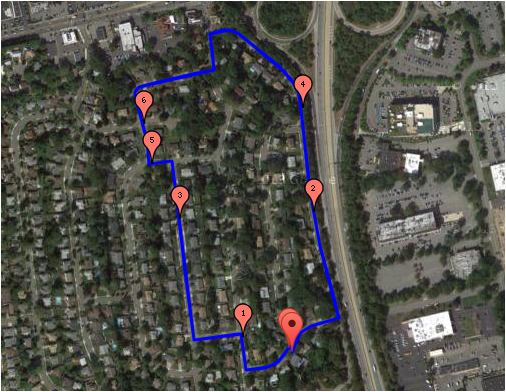 I ran six one-mile loops around some adjacent roads because I wanted to be close to home if it started to rain hard. Despite the repetition, this route was perfect for the workout I had in mind. The miles seemed to go by faster than they do on a more spontaneous route. I was better able to focus on my thoughts while I ran on auto-pilot. In terms of performance, I did much better than expected. The humidity that I'd hoped to avoid was high from the start, but the low clouds protected me from any direct sun. My running volume for the week is even lower than normal, but I will begin to pick up mileage by re-introducing 4:00 AM workouts next week. I'm glad I got out early today. The rain never came, but the humidity has continued to rise. I'm glad you had a good run - it's amazing how some routes just seem easier (mentally), isn't it? Our treadmill feels pretty good until I compare it to a high end unit. I'm sort of an elephant when I run so a better unit is probably a good idea for us. Today's loop was good because the first half has a slight elevation and the second half is slightly downhill. Psychologically, the worst part of the loop is over halfway through the loop. Are you in bed by 5pm to get your 4am workouts in? That just sounds miserable to me. My 4am workouts would be walking home from the bars because the cabs stopped running. What hotel did you stay at? We usually stay at the Clarion in Northampton (far from where you guys were), but I also like the Mountain View Inn in Great Barrington. MVI is a little motel, but it's CLEAN and cheap. I like the morning side of 4 AM rather than the very late closing time aspect. Amazingly, I don't get to bed until after 10:00 most nights. We stayed in Lenox at one of those chain hotels. Nice and clean and they serve fresh baked cookies after 3:00 PM. Thanks for the tip on MVI. I would have liked to spend more time in Great Barrington. Did you ever go to that huge Asian art place? Wow. No idea what you're talking about. Where?